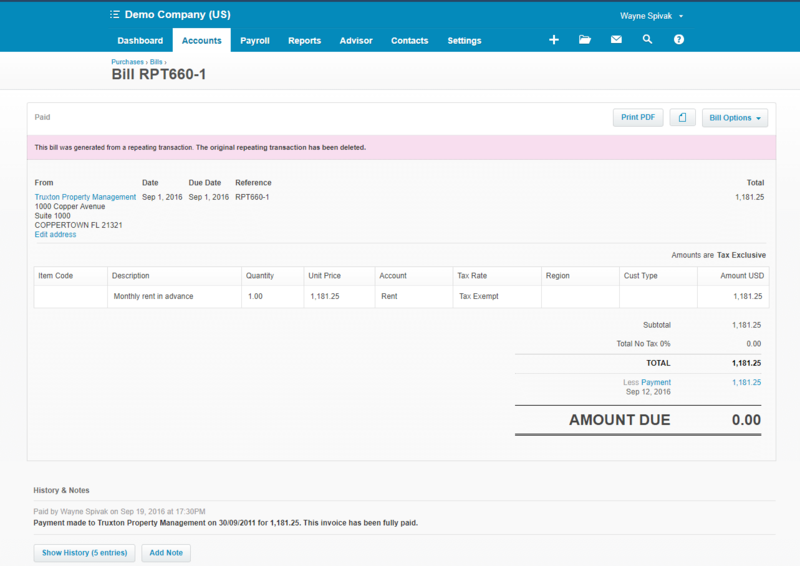 Here is an example of the check register from Xero. It isn’t that much different than many other accounting systems. Let’s examine the differences. 1 It has a Status & History column. You can see immediately if the check is outstanding (uncleared) or reconciled (cleared, paid by the bank). Voided checks are noted. Xero informs you if the voided check was done on a different date. 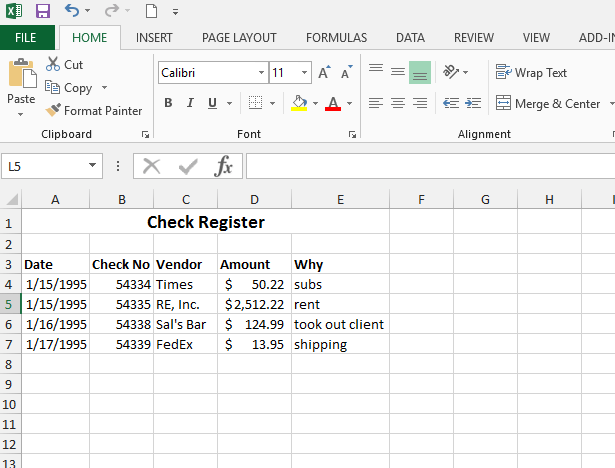 You have the ability to drill down and see the actual accounting behind the checks. The payment transaction provides additional information including the Invoice number that was paid. Notice the History & Notes. Every time this transaction was touched (changed), an audit trail is created. Now you or the accountant can track what was done. The last drill down is the actual Purchase Invoice. 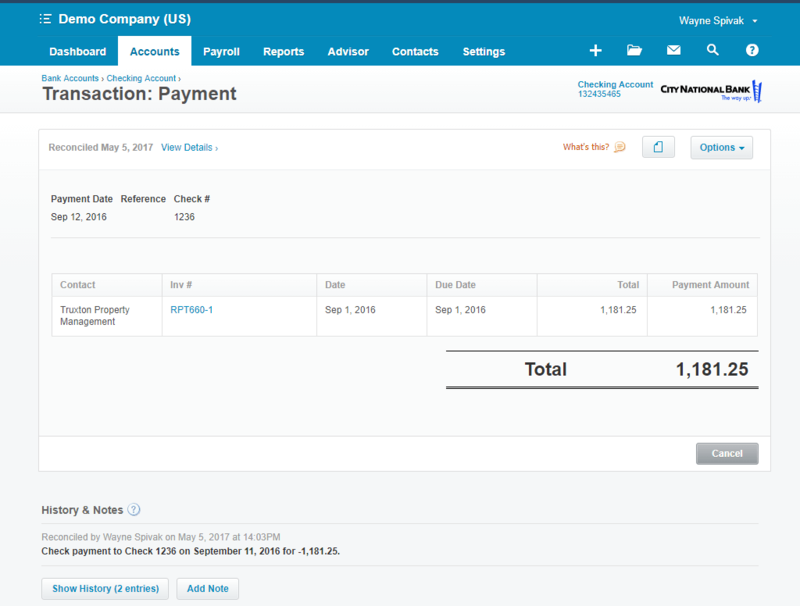 Xero uses the terminology “Bills” to distinguish Accounts Payable Invoices as opposed to Sales Invoices. Now you can see which general ledger account was involved in the transaction, any sale taxes, and again a full audit trail. Many of today’s accounting systems have a direct feed into your bank account and can download all the transactions. It makes doing a bank reconciliation easy, fast and you no longer need to wait till the bank statement comes. We here at SBA * Consulting actually do bank reconciliations daily. We always know our bank balance, our outstanding checks and most importantly our book balance. Can you say the same? Need help, why not contact us! Previous Post: Revenue Streams: have you ever thought about them?